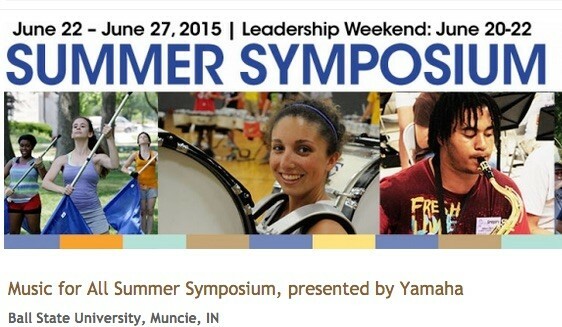 I’m excited to be speaking about Marching Band/Ensembles, and Technology this week at the 2015 Music for All Summer Symposium at Ball State University. I will be posting my lecture materials in a series of posts right here on MusTech.Net over the course of this week. I will also be posting tweets on twitter (@pisanojm). I am sure I will see a number of my old friends there as well as meet many new innovators and leaders in our field.